A great and tragic example of so-called “American exceptionalism” gone totally wrong can be found in how a group with only a few million members, whose avowed purpose leads to daily deaths and more mass shootings like the horror show of death delivered in Las Vegas this past weekend, enjoys nearly unbeatable support among congressman. And then a far larger group, whose avowed purpose is to save lives and turn retirement years into the golden sunset years they’re supposed to be instead of years of stress, poverty, and disease as Republicans seem to want, is ignored at best or punished at worst. That kind of American exceptionalism that political conservatives are proud of and fight to defend at all costs at each election cycle, comes courtesy of the National Rifle Association (NRA). With only five million members, representing only two percent of the approximately 245 million adults aged 18 and over, the NRA fights each election cycle for unfettered access to the second half of the second half of the second amendment. That last quarter of the amendment, the so-called right of individuals “to bear arms,” was deemed constitutional by a very conservative supreme court. The American Association of Retired People (AARP), with over 38 million members and other Americans who are age 50 and older, who represent 16 percent of the adult population, has to fight constantly against Republican spending cuts on Social Security, Medicare, and Medicaid, three critical social safety net programs that benefit because they are good, effective, and humane. In a letter written to members of Congress crafting House Concurrent Resolution 71, the budget for Fiscal Year 2018, AARP CEO Jo Ann C. Jenkins urged elected representatives to reject cuts to Social Security, Medicare and other key programs she says millions of Americans depend upon for their health and financial security. For Tiberi’s benefit, Ohio isn’t fast growing anymore, like it was in the 19th and early 20th centuries, when it was a land of opportunity. On a list of America’s fastest growing states today, Ohio ranks 42nd with a population growth of 1.7 percent compared to the national growth rate of 4.66 percent. The Legislative Service Commission warns Ohio’s population is expected to continue age. Tiberi went from staffer for then-Congressman John Kasich, Ohio’s term-limited, lame-duck governor, to replace Kasich as office holder when Kasich resigned in 2000 the run the first of his presidential losing campaigns. The second losing White House run Kasich mounted came last year when he lost 49 state primaries or caucus contests, drifting to the bottom of the pack of Republicans who could not out maneuver Donald Trump to win the party’s nomination. 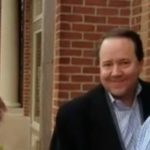 Tiberi got his political start with Kasich, and is holding true to what his former boss believes, that income tax cuts create jobs and that America should cut entitlement programs like Social Security, where benefits are earned and where contributions are dedicated so they don’t add a penny to the debt or deficit. Tiberi’s compliments for the House GOP’s budget bill are not surprising, but stunning in ignorance of how his constituents benefit mightily from the programs he has and continues to want to par down. Jenkins, AARP’s leader, reminds Tiberi and Ohio’s other 11 Republicans the basic figures relevant to Ohio seniors so they might understand what pursing their long-held agenda to cut or gut America’s most popular safety net programs would do in real time to real people. The typical senior with an annual income of around $25,000 is spending one out of every six dollars on health care now, AARP notes, stressing that these seniors count on Social Security for the majority of their income, and on Medicare for access to affordable health coverage, Jenkins wrote. “We will continue to oppose changes to current law that cut benefits, increase costs, or reduce the ability of these critical programs to deliver on their benefit promises,” Jenkins said. Maybe Tiberi or his mentor Kasich, who wants to raise the retirement age, cut benefits for those old enough to receive them, and offset the cost of their income tax cuts for the already wealthy with spending cuts on those who value every dollar (since they haven’t had the political opportunities Tiberi and Kasich and company have had to feather their nest at taxpayer’s expense), could see the real world if for just once they removed their ideological blinders on what government’s core mission includes. It would cut almost $500 billion from Medicare. The exact amount is $487 billion over 10 years. It would open the door to Medicare vouchers, which would shift out-of-pocket costs to seniors and current workers who are paying in. Keep in mind the typical senior has an annual income of under $25,000 and is already spending one out of every six dollars on health care. It would raise the Medicare eligibility age to 67. It would cut Medicaid and other health programs by $1.5 trillion over 10 years, which could endanger the health, safety, and care of millions of Americans, including over 17 million children and adults with disabilities and poor elderly who rely on Medicaid for critical health and long-term care services. It would cut SNAP, the Supplemental Nutrition Assistance Program, which plays a vital role in feeding millions of hungry Americans, including close to five million older Americans. AARP won’t have to remind or re-educate Ohio’s senior senator in Washington, Sherrod Brown, about who and what’s important. Brown isn’t out stumping for the NRA like Republicans do, because he knows gun control in this nation is out of control. Guns kill people, and people with guns like the Las Vegas shooter used to mow down 58 and wound hundreds more kill even faster. AARP Ohio held a live interactive event last Wednesday, Sept. 27, with Brown. Running for his third term next year, Brown is often called the new liberal lion of the senate, replacing the late great Ted Kennedy. Brown discussed prescription drug costs, Medicaid and Medicare benefits, the Medicare gap, and his concern about protecting Ohioans from identity theft and the recent Equifax security breach.